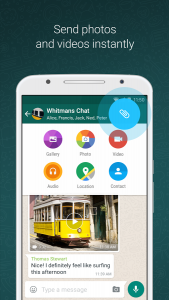 Intro: Chat with people and call over Wi-Fi or mobile data for free using WhatsApp. Make groups to share stuff and group chat with members. 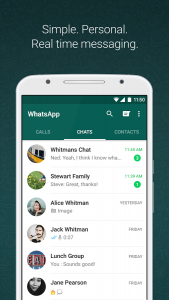 WhatsApp also has got its web version to chat from your computer. – You can once again set a text-only update in your profile and it’s called About. Tap Settings and then your profile name to edit it. Thanks for the feedback! 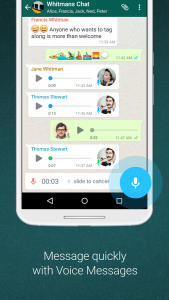 – Search for the perfect animated GIF right from within WhatsApp. Tap the emoji button in a chat and then tap GIF at the bottom of the emoji panel to get started.